Ying-Tang Ng is an Assistant Professor in the Department of Pharmacy Practice at Husson University School of Pharmacy in Bangor, Maine. She received her Doctor of Pharmacy degree from Wingate University School of Pharmacy in Wingate, NC. Post graduation, Dr. Ng completed her pharmacy practice residency at Wolfson Children’s Hospital in Jacksonville, FL and pediatric specialty residency at Texas Tech University School of Pharmacy in Amarillo, TX. Prior to joining Husson University, Dr. Ng practiced at New Hanover Regional Medical Center in Wilmington, NC as a clinical pharmacist and at Children’s Hospital of Michigan (CHM) in Detroit, MI as a clinical pharmacy specialist in the Neonatal Intensive Care Unit (NICU). 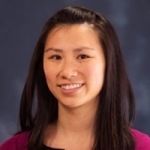 At CHM, Dr. Ng also served as the Post-Graduate-Year (PGY-1) residency coordinator for 1st-year residents. Dr. Ng is a Board Certified Pediatric Pharmacotherapy Specialist. She is currently an active member of the American College of Clinical Pharmacy (ACCP) and the Pediatric Pharmacy Advocacy Group (PPAG). Extracorporeal Membrane Oxygenation (ECMO) provides support to neonates with cardiac and/or respiratory failure despite all other conventional management therapies. Neonates on ECMO are management on a variety of medication therapy including anticoagulation and antimicrobial therapy. Due to the nature of the ECMO circuit, pharmacokinetic properties of medications change which can make pharmacotherapy management challenging. Understanding these difference and changes will help maximize medication therapy in this vulnerable population.